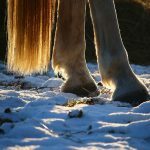 Coming into Focus: How Do Horses See? Anyone who spends enough time with an animal will eventually start to wonder about just how the world looks to that creature. Rumors abound – animals don’t see color! cats can see in the dark! – but most people know little about vision in animals. 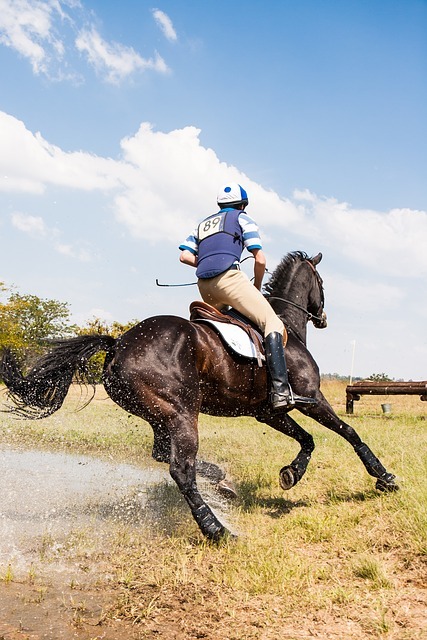 With horses, vision is particularly important, as we expect them to carry us safely and perform tasks like navigating jumps. Something as simple as the placement of the eyes in the head can significantly affect vision. Compare a horse, with its long, narrow head, to a cat, with its relatively flatter face. It’s very easy to see both of a cat’s eyes at the same time. However, both eyes are visible only from directly in front of a horse. This adaptation gives a grazing horse a wide field of view – almost a full 360 degrees. The tradeoff is that horses have only a small area where the visual fields of the two eyes overlap, limiting their binocular vision. Despite this, horses seem to have good depth perception. The eye itself acts like a lens, focusing light on the retina, the layer of cells that lines the back of the eye. The retina transforms light into an electrical signal that can be relayed to the brain. In humans, the focusing mechanism of the eye is often faulty, leaving us in need of glasses or contact lenses. Problems with the eye’s ability to focus light are rare in horses – so you don’t see too many horses wearing glasses! Horses are thought to have vision somewhere in the range of 20/30 to 20/60. The retina is the major determinant of vision. Compared to other animals, horses have lots of cells in their retinas and have fairly good vision. Humans with perfect vision are often described as having “20/20” vision. 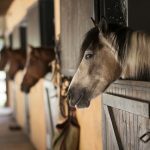 Horses are thought to have vision somewhere in the range of 20/30 to 20/60 – meaning that they can see from 20 feet away what an average human can see from 30-60 feet away (by contrast, cats are thought to have 20/100 vision). The retina also contains cones, or cells that sense color. Humans have three types of cones, which sense red, yellow-green, and blue light. Horses have only two types of cones and lack red cones. They see color, but in a more muted palette than we do. 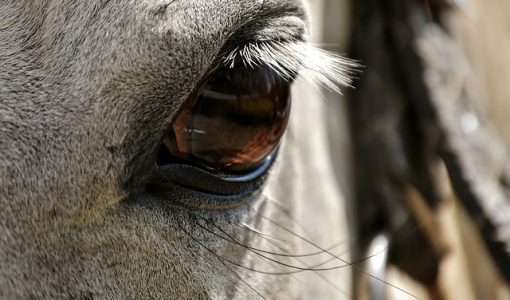 Vision problems in horses can arise from problems like cataracts or uveitis that block or blur light entering the eye. The corpora nigra (the ruffled structure at the top of the pupil) can develop cysts, which float into the visual field and cause spooking. Many of these issues are treatable. 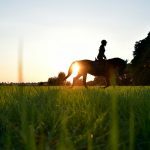 Signs of vision problems include behavior changes (spooking, shying, reluctance to enter a stall or arena) or changes in performance (balking at jumps, refusal to move in a particular direction). Such changes may also result from orthopedic, neurologic, or behavioral issues, however. 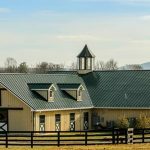 If you are noticing changes in your horse, it is important to have him or her evaluated promptly by your regular veterinarian, who can then determine whether referral to a boarded veterinary ophthalmologist is appropriate. 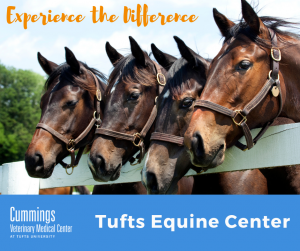 A veterinary ophthalmologist, Dr. Stephanie Pumphrey provides medical and surgical eye treatment to a wide array of animals at Cummings Veterinary Medical Center. Commonly treated conditions include cataracts, glaucoma, corneal ulcers, eyelid and eyelash disorders like entropion or distichiasis, and uveitis and other inflammatory diseases.